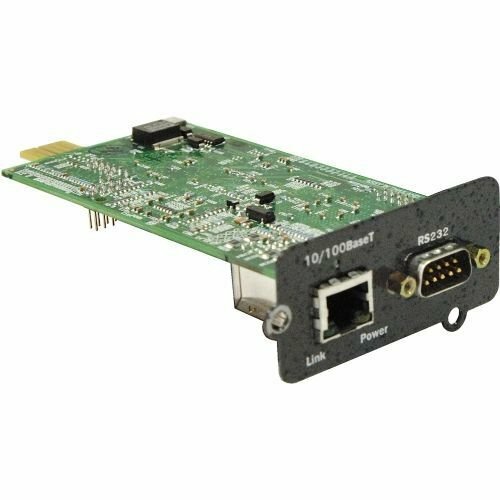 the Liebert Intellislot Web Card Delivers Enhanced Communications And Control To Liebert Ups, Power Management And Precision Cooling Systems. Liebert Intellislot Web Cards Bring Snmp, Telnet And Web-management Capability To Many Models Of Liebert Ups, Power And Cooling Equipment. The Cards Employ An Ethernet Network To Monitor And Manage A Wide Range Of Operating Parameters, Alarms And Notifications. If you have any questions about this product by Emerson Network Power, contact us by completing and submitting the form below. If you are looking for a specif part number, please include it with your message.